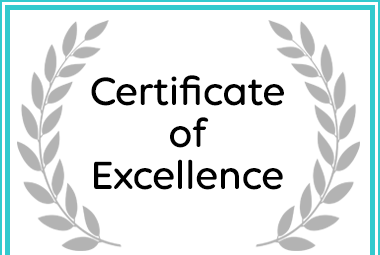 Tydon Safari 2019 Certificate of Excellence! Tydon African Safaris is a safari tour operator specializing in wildlife safaris for the luxury traveler, budget adventure seeker, families, couples and small groups to South Africa to the Kruger National Park and Sabi Sand Private Game Reserve. Priding ourselves on personal service excellence and understanding our clients’ needs is one of our top priorities. This ensures that our clients have a rewarding and memorable safari, which meets all their expectations. Tydon Safari Camp is a Certificate of Excellence Award Winning Establishment. In South Africa where you have some of the best Private Game Lodges in Africa, you will always be able to see and experience the best wildlife due to the variety. There are a number of safari packages/tours available to choose from; however the most popular are safaris done in the Kruger National Park as well as the Private Game Reserves joining the Kruger National Park, with Sabi Sand Private Game reserve being one of the more popular holiday destinations. The Sabi Sand Private Game Reserve is one of the most well-known private reserves that borders the Kruger National Park where you can find the most luxurious and well-known lodges like the Sabi Sabi Private Reserve. Tydon African Safaris has an exclusive tented lodge in the southern area of the Sabi Sand Private Game Reserve and two tented camps bordering the Sabi Sand/Kruger National Park. These camps are easily accessible from the Paul Kruger Gate of the Kruger National Park. The Sabi Sand Private Game Reserve starts in the southern area of the Kruger National Park and is close to Skukuza Rest Camp and Skukuza Airport. Skukuza is the main camp in the Kruger National Park and is the largest camp in the Kruger National Park. The Skukuza Airport has local flights direct to Johannesburg and Cape Town. In this area of the Kruger National Park and Sabi Sand Game Reserve, you get a wide range of accommodation available, ranging from the high-end luxury lodges to the more affordable family safari lodges and tented accommodation. Tented camps are becoming popular as they offer an authentic African experience. The tented lodges in the area offer affordable family safari packages as well as the more exclusive safari tours. The wildlife is always what attracts tourists to this area of the Kruger National Park as it offers a variety of animals and over 500 species of birds. The most popular of all is the Big five animals being the lion, leopard, rhino, elephant, and buffalo. Enjoy splendid game viewing from an open safari vehicle. In order to not only see, but also experience the wildlife, you need to spend a few days on safari and make sure that it is a well-planned part of your holiday plans in South Africa.